1 week/$100 (Day 4) – I Want That Kangaroo! Got up early to find 4 mosquito bites on my left foot. Got a razor, shaved over them ‘til they bled and threw a cotton ball soaked in hydrogen peroxide over them… golden. Yesterday was the best and most disgusting day to date. Ate like a pig and spent unnecessary coin… I’m sure Tim Ferriss would approve. As for travelling plans… I may be heading to Thailand in the next few days. The cheapest flight out from Perth looks like it’s on the 16th and the Swedish girls are there so that would work out great! I need to re-evaluate my budget and give Capitol One a call to see if I have enough points to redeem to pay for my flight. It’s only 9:30AM… feel like a nap. Gonna throw on some shades, get out my iPod and snooze by the dock. Bought a book at Dymocks today for $5 from the discount bin. Usually known to skip to the Robin Sharma-esque section but decided to switch it up. 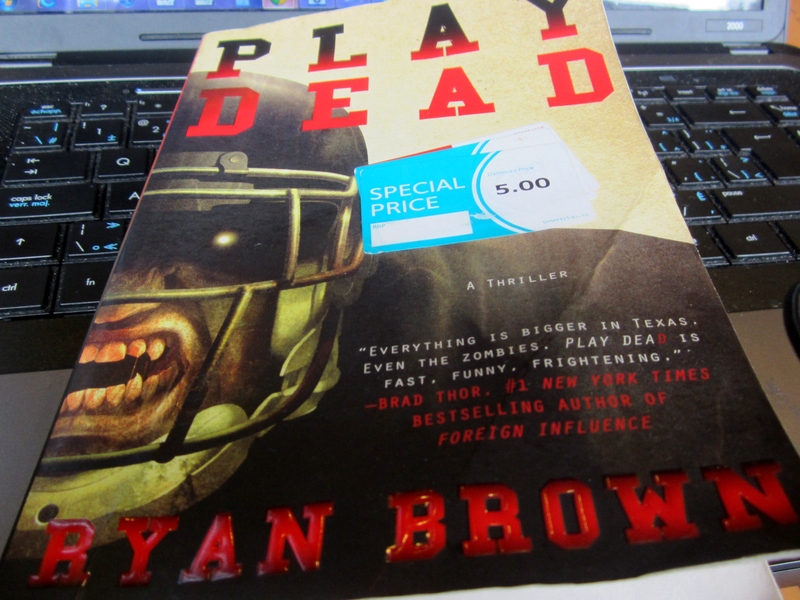 Don’t know why but one called out to me: Play Dead by Ryan Brown. The cover shows the face of a zombie-werewolf-looking creature wearing a football helmet and uniform. Booker had just bludgeoned a toddler with a bicycle chain and was about to shoot a crack whore in the face with an assault rifle when the phone rang. He hit Pause on the video game controller and picked up the receiver. Shove a bum Eckhart Tolle. We have ourselves a winner. Sat in Starbucks by The Rocks while it poured outside. 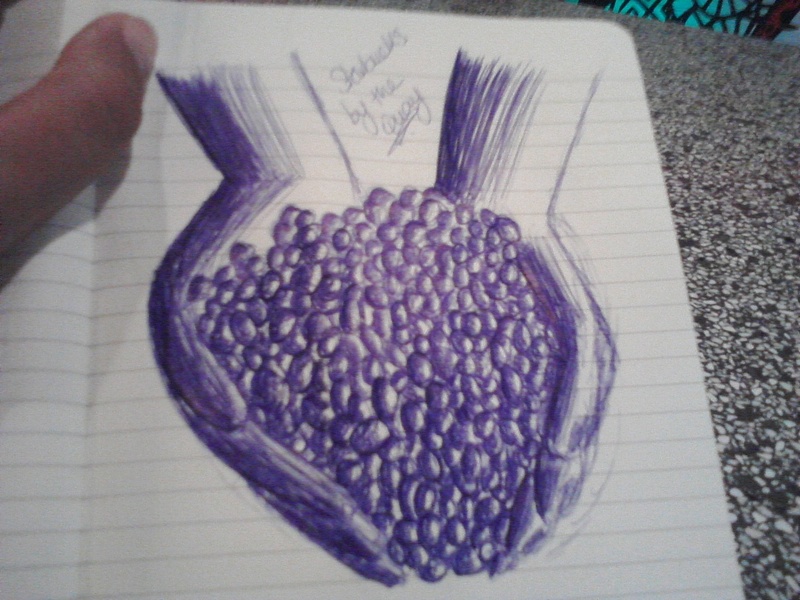 In an effort to start sketching again, I saw to it to duplicate a print hanging by the coffee machines of two palms holding coffee beans. Turned out looking more like 2 Siamese spoons holding a mole hill of pinto beans and lentils. Success. Miss ‘U’. Can’t wait till you come back.